Three-time Africa champions, Nigeria’s Super Eagles would be praying for a favourable qualifying draw today ahead of the 2018 FIFA World Cup slated for Russia. The draw which is schedule to take place in Cairo, Egypt have seen the team moved from pot 3 to pot 2 where they are likely to face tough competitions against teams such as Ivory Coast, Senegal, Algeria, Ghana and Tunisia in pot 1. The team hopes of booking a ticket to the mundial could be made difficult considering the fact that the pot 3 contain teams like perennial rivals Cameroon, Morocco, Guinea, Congo and South Africa while pot 4 have teams like Burkina Faso, Uganda, Libya, Gabon and Zambia. Having participated in five World Cup tournaments in 1994, 1998, 2002, 2010 and 2014 respectively, Nigeria would be targeting a fifth qualification ticket. The above scenarios simply show the possible teams the Super Eagles could face if they are to qualify for the 2018 World Cup. On paper, every group is a ‘group of death’ but Nigeria is likely to have a bright chance of sneaking through to Russia if they meet teams such as Senegal, Congo and Uganda. They could also fancy their chances against teams like Tunisia, Guinea and Uganda. 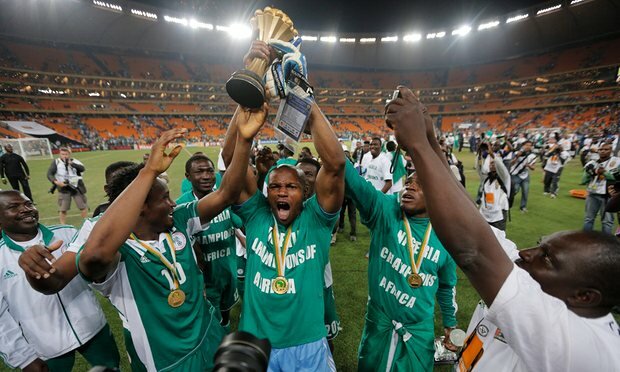 However, all other teams would be considered a difficult group for former Africa champions, who based on their current performance and player’s ratings may find it near impossible to qualify.